Wholesale Karma Lakelands: A Haven for Golf Lovers | Msnho! A brainchild of renowned Environmentalist Mr. Ashwani Khurana, Karma Lakelands has evolved into one of its kind eco-responsible golf resort with luxury residences in Gurgaon. 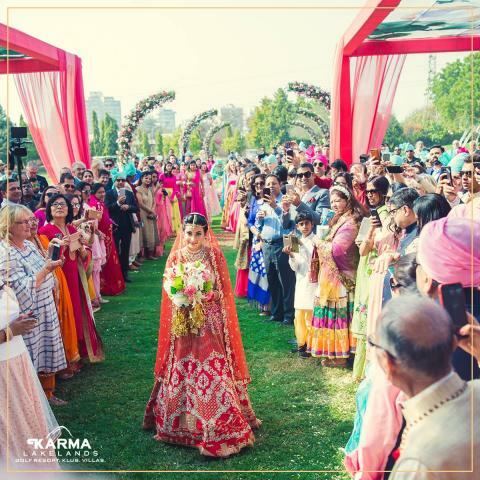 Spread over almost 300 acres, the property boasts of an award-winning 9-hole boutique golf course, luxury villas and Klub Karma, making it an ideal retreat for destination weddings, conferences, golf tournaments, weekend getaways and romantic sojourns.